Your Halloween party plans may be in full swing, but have you found the right drink for the night of the dead? 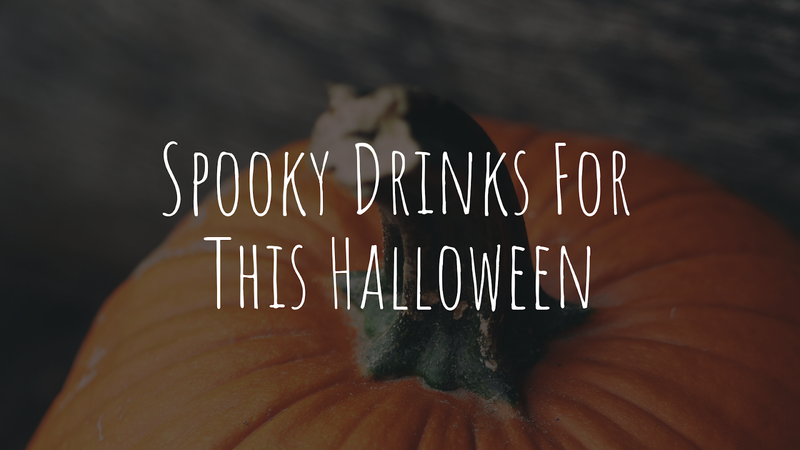 We compiled a list of some of our favorite spooky beverages that will go along perfectly with your costume. It’s still fall, so pumpkin season isn’t over yet! 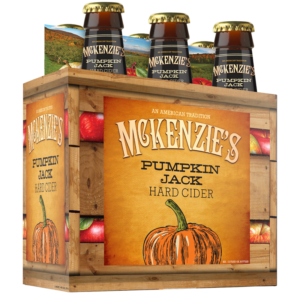 Grab some of the last pumpkin treats of the season starting with McKenzie’s Pumpkin Jack Hard Cider. The mix of strong pumpkin flavors and mulled spices is sweet enough to make up for all the candy in the world! One reviewer noted it tastes like pumpkin pie mixed with rum. 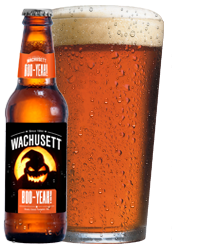 If you’re looking for a more classic beer taste Wachusett’s Pumpkin Boo-Yeah is the perfect seasonal ale for you. A caramel malt taste is supported with hints of pumpkin and various spices with a 6.6% ABV. 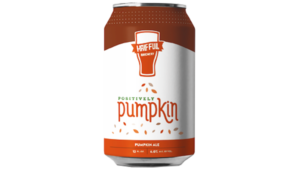 Half Full Brewery’s Positively Pumpkin is another seasonal selection available from September to October. This medium bodied ale is slightly bitter balanced with pumpkin and notes of nutmeg, cinnamon, and ginger. As your premiere Rhode Island distributor, we can help you locate everything from alcoholic mixes to your next favorite lager and non-alcoholic beers across the state. Take a look at our locator today! Their mission: To sail new brewing horizons, guided by the winds of traditions, and driven by the quest for adventure. Hugh Sisson, founder of Heavy Seas, went through immense strides and changes during his years of learning how to manage a business, let alone a brewery. Wanting to become a stage actor and director, his plan was to make his way to New York City. But Hugh’s father, owner of Sisson’s, a tavern in Baltimore, was able to persuade Hugh to come help him with the newly opened family business. 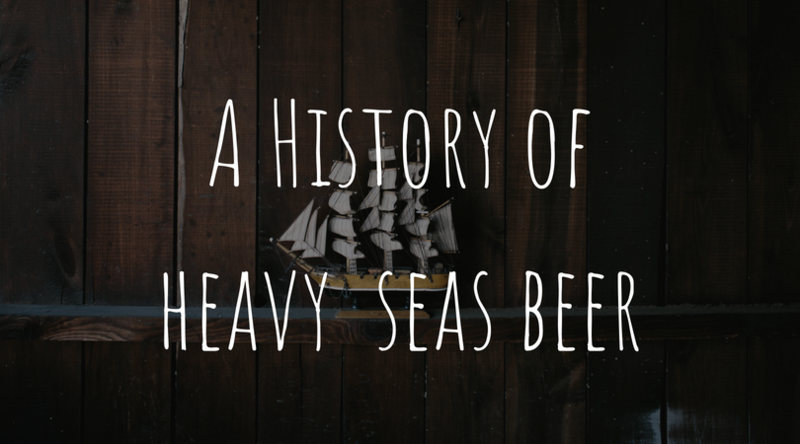 But when “Hugh showed up to start what he assumed would be a short-term position, his father tossed him the keys to the pub, said “OK, don’t f*** up!” and walked out the door.” What a great start to a story of how the adventurous brews of Heavy Seas came to be! Leaving the brewery after being there since 1980, Hugh formed a new company of his own, Clipper City Brewing Co., now home to Heavy Seas Beer in 1994. Heavy Seas today now “produces 18 different beer styles and distributes in 17 states.” The company celebrated their 20th anniversary in 2015. Celebrate the pirate way and enjoy a brew or two by finding your favorite Heavy Seas Beer using our Locator today. And as always, please drink responsibly. 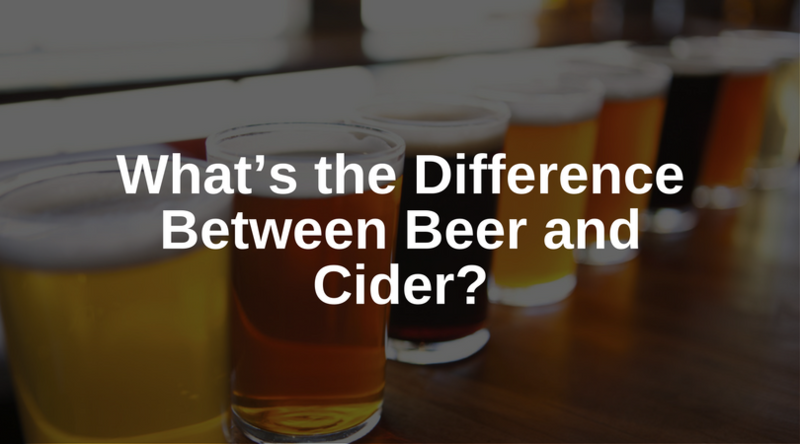 Some may think that beer pairs well only with savory meals, but we’re here to prove you wrong. 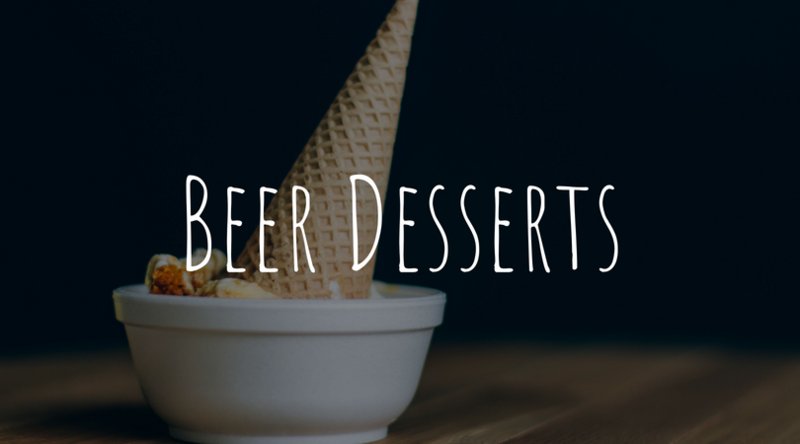 Craving a dessert and a delicious brew? Have no fear, a few of the breweries we distribute for have listed their own recipes that pair perfectly with their brews! 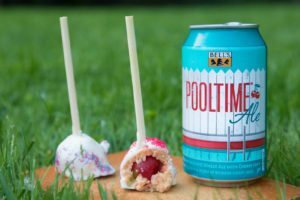 A fan of Bell’s Brewery Pooltime Ale? Also a fan of Cake Pops? Well, they’ve got you covered with a recipe for their Pooltime Cake Pops. Sweeten up your summer days with their Belgian-inspired Wheat Ale. Looking for something chocolatey? Try Abita’s Turbodog Espresso Brownies, a recipe from one of their customers Delia Davis. Combining a delicious brownie recipe with their dark brown ale, Turbodog. How about some ice cream on a hot summer day? 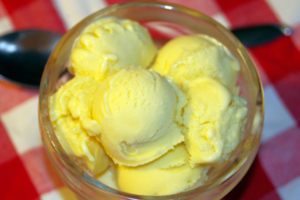 Give Abita’s Andygator Ice Cream a try! As they say, it’s a “lusciously smooth ice cream…the perfect vehicle to highlight the flavors of sweet, malty beers.” What more could you ask for? Pick out your favorite recipe or recipes and find the brews using our Locator today. And as always, please drink responsibly. Summer is here. It’s time to jump in the pool and feel that cool refreshing water hit your skin. After you find yourself out of the water, you’re hungry and ready for the perfect brew. Your palate will be salivating at the thought of these dishes and their pairings. Are you ready for this? You can never go wrong with good barbeque. Beer + Barbeque = Beer-beque. Absolute perfection. Do you agree? 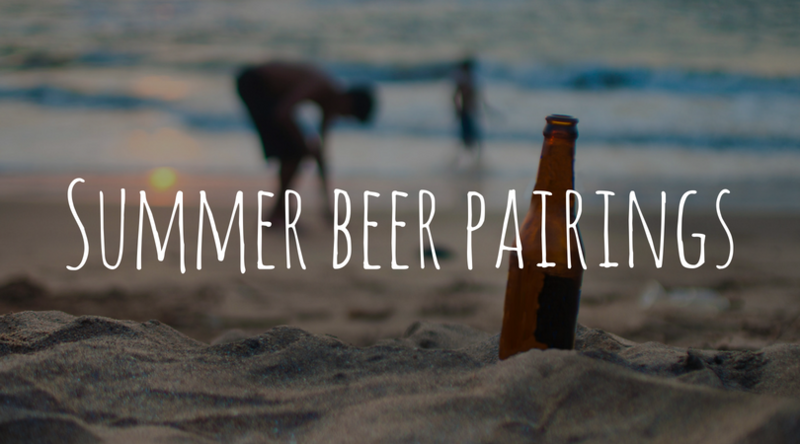 Luckily, a few of our breweries that we distribute for have created a few suggested pairings! A fan of Heavy Seas Smooth Sail? This refreshing American wheat ale, brewed with lemon and orange peel is suggested to pair with tantalizing grilled white fish, citrus, wild rice, and of course: BBQ. And, last but not least Bell’s Brewery has created their very own recipe to pair with their brew: Porter! Check out their “Porter Beer Cheese Soup” concoction here. And for dessert, they recommend vanilla bean ice cream. Think you can handle all of these delicious, tasty foods and brews? Find your favorites using our Locator today. And as always, please drink responsibly. 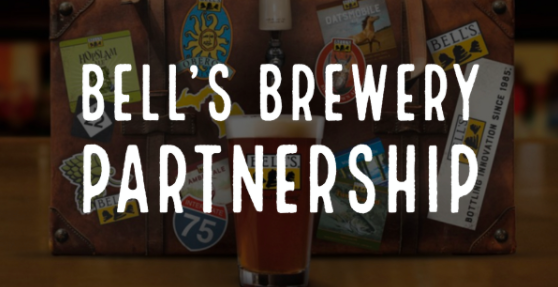 We’re proud to announce our latest partnership with… Bell’s Brewery! We were one of the eleven distributors chosen to help them bring their famous brews to New England! “We are all very excited to welcome each of these distributors to our extended Bell’s family and look forward to launching New England and New Jersey with partners who share our commitment to craft beer and quality,” she added. We’re thrilled to be able to bring Bell’s beers to our area! Stay tuned for more information by following us on all of our social media platforms to keep you up to date. 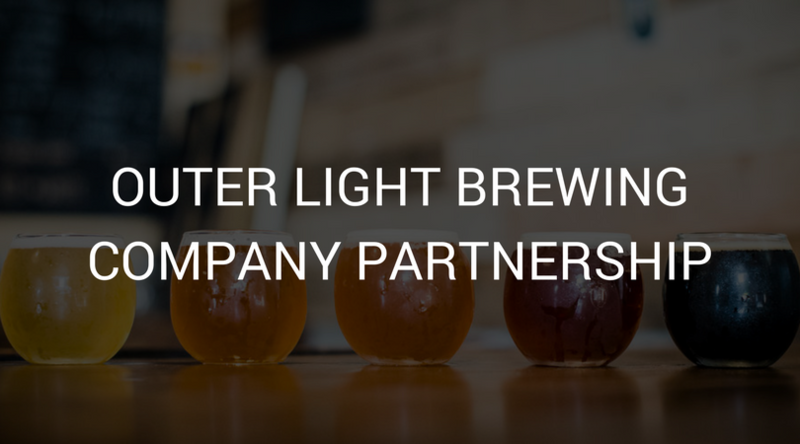 McLaughlin & Moran is proud to announce our newest partnership with Outer Light Brewing Company! Outer Light is a craft brewery based in Groton, CT. founded by Tom Drejer and Matt Ferrucci. 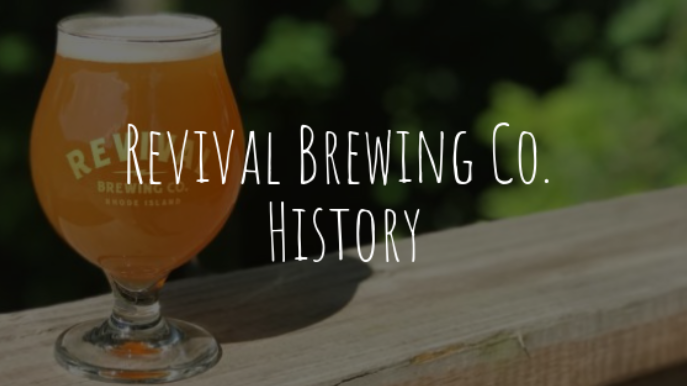 They opened their doors to the public in 2015 and have made their mark in the local brewing scene by offering a core and rotating lineup of expertly crafted small batch craft beers. They capture the beautifully simple pleasures of life: a perfect summer afternoon, a crisp autumn evening shared with family and friends around a crackling campfire and more in a can, glass or growler. Curious about the styles we’ll be distributing? There will be four year-round offerings: Lonesome Boatman Amber Ale, Libation Propaganda Coffee Stout, Subduction IPA, and Cloudbreak Double IPA. They will be available in cans at liquor stores and on draft at bars and restaurants throughout Rhode Island. Select seasonal and experimental beers will become available in the summer of 2018. Located in beautiful Sligo, Ireland, with many sites to behold, Lough Gill Brewery is the first brewery to be located in Sligo in over 100 years since Foley’s Brewery ceased brewing on the site of what is today the Velvet Rooms building. This brewery strives to think outside the box and brew unique and complex high-quality specialty brews never seen before. Their mission is to brew interesting, tasty handcrafted beers using the best ingredients available to them and also some unique indigenous ingredients. Their team takes pride in creating these unique, wonderful and adventurous handcrafted beers. They’ve surpassed their mission of creating interesting beers, with unique flavors and the ability to create dark and mysterious brews. One of their beers is titled Mac Nutty. “Some would say we’ve gone nuts – but taking our time over each and every step is part of what makes every one of our craft brews unique”. This beer exhibits a rich nutty flavor and luxurious dark brown color. Brewed with real macadamia nuts toasted in their own kitchen along with top quality malts and hops. For those who love to try new and unique beers, with some traditional ingredients, Lough Gill Brewery’s beers are the perfect choice. 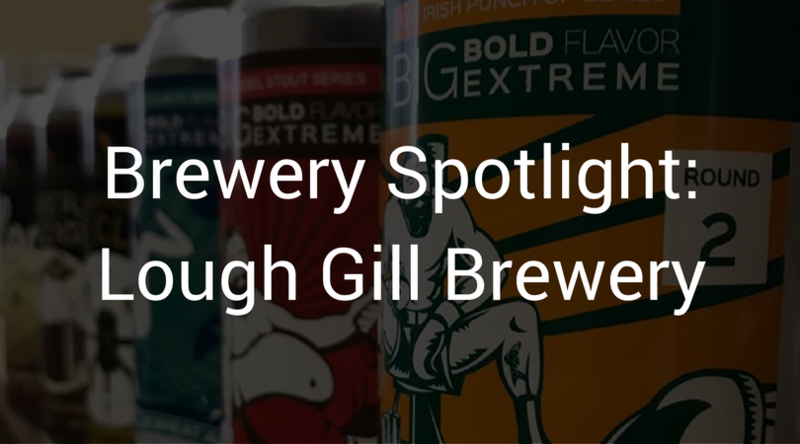 Learn more about Lough Gill Brewery here: loughgillbrewery.com and use our locator today to try out their unique flavors, ‘Round the Clock, Mac Nutty, and Imperial Oatmeal Coffee Cream Stout. With the holidays coming up, we’re quite sure you’ll have a drink or two. 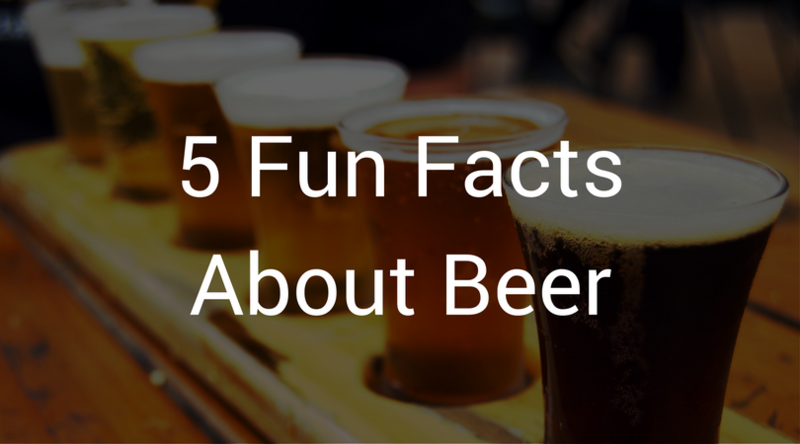 If you need something to talk about, drink up these fun facts about beer and sound smarter while you’re waiting for dinner to be served! Oktoberfest is one of the most popular celebrations for beer consumers. This years event was another success with approximately 6.2 million visitors and 7.5 million liters of beer consumed. That number is up from 7.3 million liters at Oktoberfest 2015. During prohibition, brewers, physicians, and imbibers attempted to persuade U.S. Congress that beer was vital medicine. In March 1921, Attorney General A. Mitchell Palmer declared “doctors to prescribe beer at any time, under any circumstances and in any amount they saw fit.” Doctors prescribed “medical beer” from March 1921 to November 1921 until Congress banned it. You would think Nevada would have been number one, but New Hampshire takes the top spot in beer consumption with 41.7 gallons annually per capita. Montana was second with 39.1 gallons of beer and South Dakota rounded out the top three with 38.6 gallons of beer. State fairs have become synonymous with unique fried treats. At the 2010 Texas State Fair, deep-fried beer-filled pretzel pockets were entered into the Big Tex Choice Awards and won for Most Creative Food.